[Ada, Ghana] We have completed our first full week of ministry here in Ghana and we are thankful for all that God is doing. Thus far, we have shared the gospel in 93 venues where we have been face-to-face with over 27,000 individuals. This is a testimony to the grace and mercy of our heavenly Father. As you might have seen from our posted videos http://gemonline.org we have spent a great deal of this week along the coastline of Ghana. We have preached in schools and villages here as well as taking boats across to three islands in the Volta River. 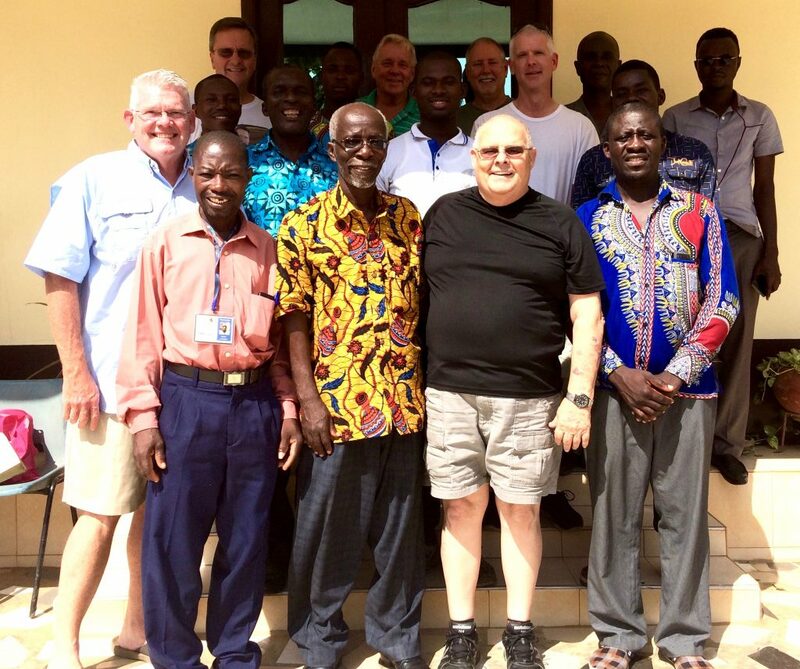 After returning from one of the villages, Jeff Andler remarked, “Taking a boat from island to island made me feel more like a missionary than anytime to this point.” It was an incredible opportunity to share with many people who had never been off the small island. The residents of the island sustained themselves by fishing and farming with no outside aide. The evening film crusades on the 3 islands required, Craig Barker, Mark Chase, James McLean, and Nick Ollila to travel across the Volta in the same wooden canoe and disembark at their various preaching points. While this was easy enough their return trip was a bit more challenging. All three, PLUS the 16 local team joined them in the boat for the journey back to our side of the river. In addition to this the boats carried 3 sets of equipment including sound systems and projectors. 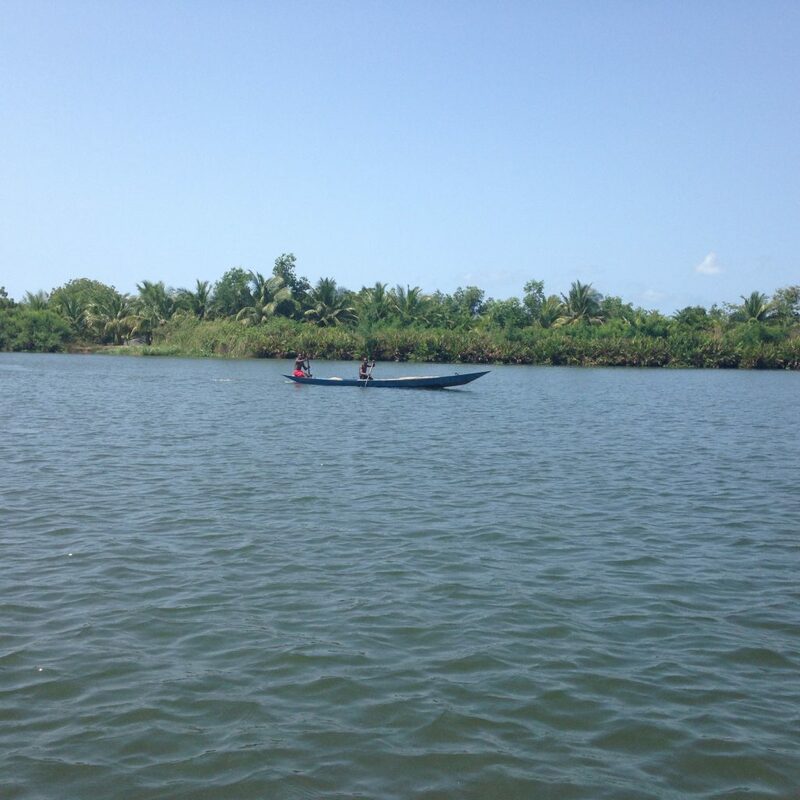 One of our team said, “The water was mere inches from the top of the boat and a lady was bailing water from the boat the entire time!” Such it is in the life of frontline evangelists doing the work of the gospel. Friday, October 21st was James McLean’s 69th birthday as we were able to surprise him with a party, complete with cake and ice cream. Everyone did very well in keeping it a surprise and I think all really enjoyed being able to honor this choice servant of the Lord in this way. We have another full week of ministry in front of us and we are scheduled to leave Ada tomorrow morning by 7:00 am for the trip to Prampram about 2 hours away. I am certain we can count on you praying for our safe passage. Thus far we have seen over 17,000 indicate first-time decisions for Christ! Please join us in praising God for all that He is doing here, and pray that we will continue to follow His leadership with all our heart and mind. On behalf of everyone here, I want to say Thank-you for continuing to pray. Roy and group, our prayers are with you. Roy, it is hard to really comprehend the numbers of people you have witnessed to and the wonderful responses. We are praying for all of you. God bless you.